There are a number of factors to think about when deciding whether condominium ownership is the right for you. Condominium ownership is different from traditional home ownership because it involves shared ownership of common property. Shared ownership means there are more rules and restrictions in place for owners – which can be seen as a benefit or disadvantage depending on your lifestyle. Every condominium complex is legally required to have a set of bylaws outlining what owners (and renters) can and cannot do in the complex. Bylaws can cover a wide variety of issues including pets, children, noise, parking, aesthetics, use of amenities, and how the condo operates. Bylaws offer a sense of certainty to owners about who will be living in the complex, how they will be required to behave, and how they look after their unit. A complex’s condo board is required to enforce the bylaws and owners can face penalties for not following the rules. Visit Bylaws & Rules for more information. In a condominium, there may be limited parking available and/or restrictions placed on what can be parked at the complex. For example, larger vehicles like boats or RVs may not be allowed in a condominium’s parking area due to their size. These restrictions will be stated in the condominium’s rules or bylaws. Parking in a condominium is either assigned or titled. If it is assigned, it means the parking space is leased or rented by the owner from the condominium corporation. If it is titled, it means the owner owns the parking spot and can sell it with the unit. A condominium’s bylaws may prohibit pets or put restrictions on the type, size, or number of pets allowed in each unit. Some bylaws require owners to get condo board approval if they want to get a pet. Many condo owners appreciate the rules around pet ownership as it often reduces noise complaints and maintenance expenses. Condominium bylaws may state who is responsible for maintaining, repairing, and renovating anything within the boundaries of a condominium unit. Owners are generally responsible for repairing and maintaining anything within their condominium unit. For example, if your fridge or dishwasher needed to be repaired, you would be responsible for the cost of repairs. The condominium corporation is responsible for repairing and maintaining the common property, which includes the complex’s heating, electrical, and plumbing systems as well as amenities like the swimming pool and fitness centre. In most condominiums, the corporation is also responsible for landscaping and snow removal. Many people find the low maintenance lifestyle of condominium living to be a significant benefit. To cover the costs associated with maintaining and repairing the common property, all condominium owners have to make a contribution (also known as a “condo fee”) to the condominium corporation. Contributions are divided amongst owners based on the unit factor assigned to their particular unit. Condo contributions vary greatly with larger, amenity-rich buildings generally having higher fees than smaller buildings with minimal amenities. Visit Condominium Contributions for more information. Condominium complexes may offer on-site amenities such as fitness centres, swimming pools, tennis courts, and games rooms. Such amenities are rarely available with traditional home ownership. 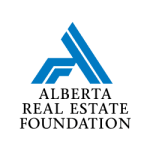 Owners’ condo contributions (fees) are put towards maintaining these facilities. Some condominium complexes may offer enhanced security features such a night time security guards, video monitoring, and secured parking. Owners who want to rent their condominium unit have to inform the condominium board and may need to pay a security deposit to cover the costs of any potential damage caused to the common property. Tenants renting condo units must follow the bylaws or risk eviction by the condominium board. Visit Renting Your Condo for more information.